February is an always an exciting time of year. Winter is still holding on, but there are hints of a return to Spring! We’d like to take the opportunity in this blog post to share new patterns that have been published in Kraemer Yarns, patterns from our friends, and plans for spring! 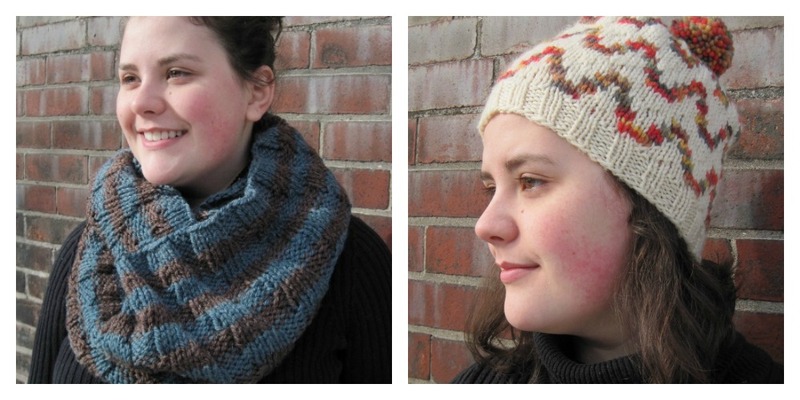 New to the forever free patterns page at KraemerYarns.com are the two items shown above. Winter winds still whip around so stay cozy with the Staggered Rib Chunky Cowl! It’s a quick knit with Perfection Chunky. The new hat pattern may be called the Autumn Hat, referencing the colorway used, but with the cute chevron pattern and your favorite colors of Naturally Nazareth, you’ll wear it as much as you can! These patterns were recently published to Ravelry, and that’s where you can purchase them or add them to your library and queue. The Garden Trellis socks and Petal Quilt Socks are both by Clara Masessa in Kraemer Yarns Sterling Silk & Silver. Paula Herbert has been knitting hats for the Little Hats, Big Hearts campaign by the American Heart Association. She has made her pattern for newborn hats in Perfection Worsted and Perfection Chunky available as a free Ravelry download! Did you know that March is National Crochet Month? We’re looking forward to sharing crochet patterns and projects in Kraemer Yarns with you. 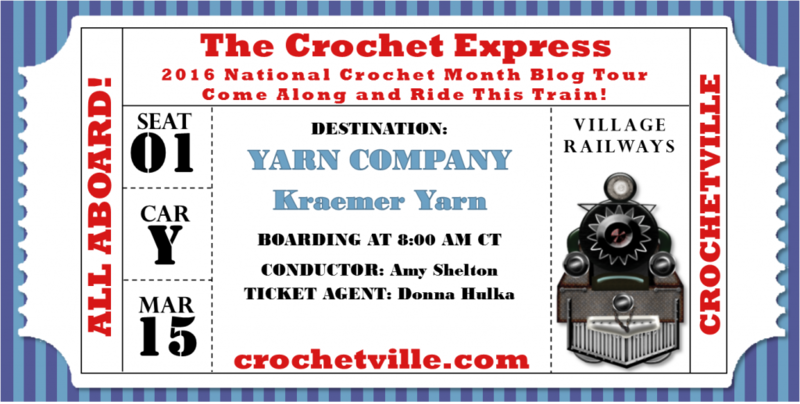 Kraemer Yarns is also articipating as a stop on the Crochetville’s Crochet Express Blog Tour! Our next blog post is already in the works to spotlight several lovely crochet items. If you have used Kraemer Yarns in your crochet projects, be sure to drop us a note on Facebook, Instagram, or Ravelry, we’d love to include you in a spotlight post!